One of Sam's favorite things to use is tape. That's right! Good old-fashioned Scotch tape. 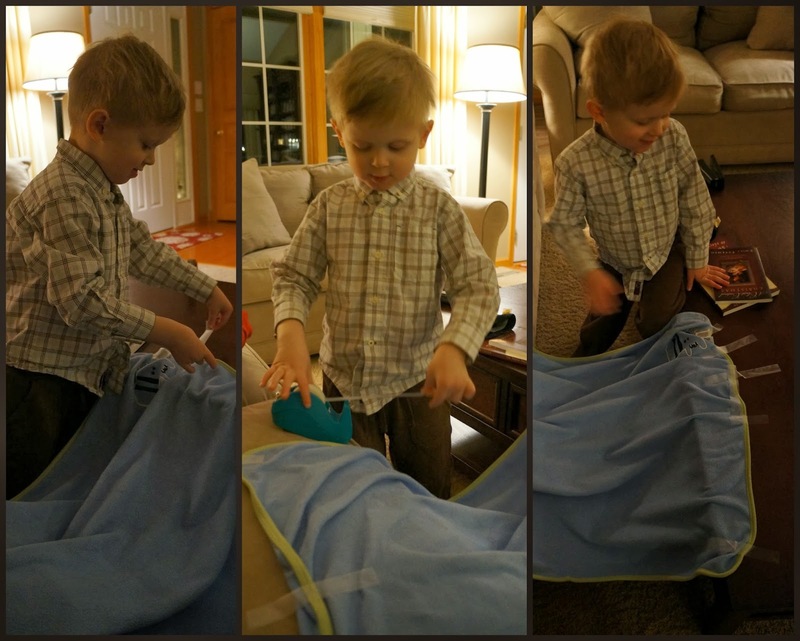 He uses it to wrap his own "presents," as he calls them. It comes in handy for taping trains together. He once used it to tape his blanket to the couch and coffee table, which he then wouldn't let me take down for a few days. He uses it to tape things into and onto his toys. I don't mind because he uses the tape constructively and creatively. My only problem is when it gets stuck to the floor, because it can be hard to get off. There are a few strips stuck to our floor in random places right now! 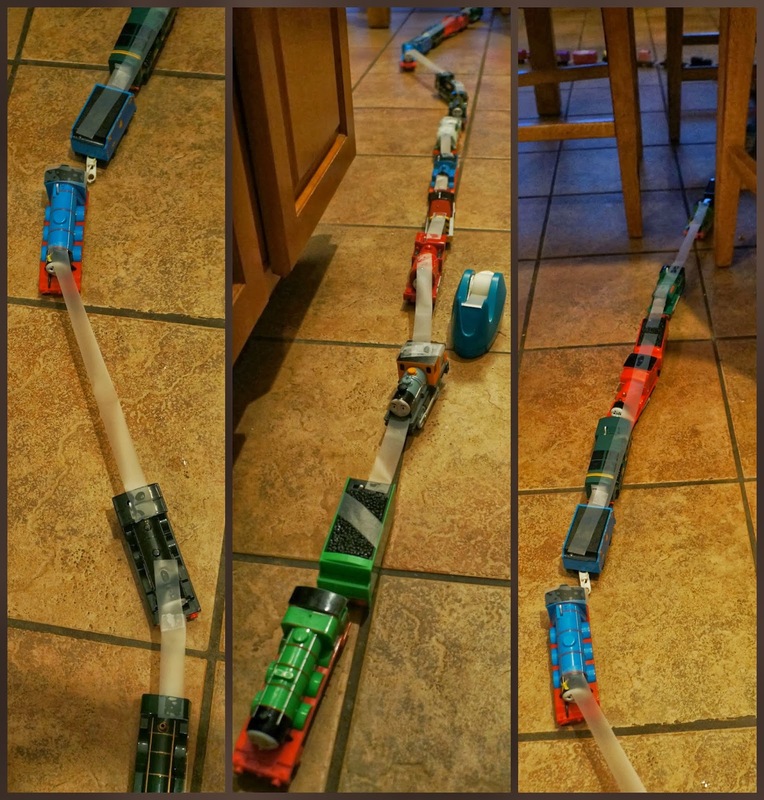 Also, I suspect that Sam has "control freak" tendencies that he may have inherited from me, and he's figured out that tape can be the perfect solution to getting things to stay or be just the way he wants them to be. If only it were that easy for everything else in life!